Release Message: A young American trades places with a remote ancestor in early 19th century England, and encounters many complications in his new surroundings. Written by Henry James. 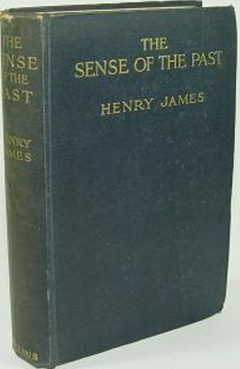 Description: The Sense of the Past is an unfinished novel by the American author Henry James that was published in 1917, a year after James' death. The novel is at once an eerie account of time travel and a bittersweet comedy of manners. A young American trades places with a remote ancestor in early 19th century England, and encounters many complications in his new surroundings. Young Ralph Pendrel of New York City has written a fine essay on the reading of history. The essay so impresses a distant English relative that he bequeaths an 18th-century London house to Ralph. Pendrel goes to London and explores the house thoroughly. He feels himself going back in time as soon as he crosses the threshold. He finds a portrait of a remote ancestor, also named Ralph Pendrel. The portrait comes alive and the two men meet.